By empowering women to make the first move, Bumble has single-handedly turned the power dynamic of online dating on its head. Prior to Bumble, the dating app experience was a notoriously male-dominated one that sometimes left women feeling uncomfortable, powerless, and at times even afraid. For Bumble founder Whitney Wolfe Herd, who had previously co-founded Tinder, this just wasn’t acceptable. So she created a product that not only changed the way we meet people online, but transformed the very nature of traditional courtship itself by encouraging women to "be the CEOs their parents always wanted them to marry." But Bumble has become so much more than just a dating app. The brand recently launched Bumble BFF and Bumble Bizz—all products focused on putting women in the driver's seat. We caught up with Bumble COO Sarah Jones Simmer to talk about the company’s female-centric culture, the importance of flexibility, and the qualities they’re looking for in a new Customer Service Specialist or Experiential Marketing Lead. Read on! Werk: Tell me a little bit about your role at Bumble. What is a typical day like? Sarah Jones Simmer: I’m the Chief Operating Officer of the company, which means I wear a lot of hats, but ultimately, I am focused on our core growth areas—so things like marketing strategy, product, and international expansion—as well as helping to build infrastructure and grow and support our team. There is no typical day in the life. I’m on a plane once a week or every other week working across our team, our partner organizations, and thinking about how we scale and grow in the future. And a lot of that involves meetings and conversations with the team about how to support their personal growth as well as our business objectives. Where is Bumble today, and where is the company heading in the future? Bumble was founded in December 2014. We got our start as a dating app, as most people probably know, but really turned gender dynamics on their head by pushing women to make the first move and essentially mandating that any conversation that happens in our app starts with the women talking first. This has changed a lot of the historical gender imbalances that happen in romantic relationships, helping women take control over what they want for their romantic future and to also set the tone for how the conversation should go. We’ve taken what we’ve learned—both in terms of the efficiency of swiping to connect with people around you and putting women in the driver's seat to make decisions about their own connections—and we’ve brought that to making friends. We launched Bumble BFF, and in October we launched Bumble Biz, which is a networking platform to connect with people around you for business purposes. In the future we really see ourselves as a social networking platform, the Facebook for people you don’t know yet, in a really empowered, kind, female-first context. We see ourselves as so much more than just a dating app now. We love that you bring your daughter to the office. Why do you think it’s important for her to see you not just in mom mode but also in work mode? I have two little ones—one is 3 and a half, and she’s the one who is starting to recognize what it means when mommy goes to work and getting to a place where she’s even proud of that and will talk to her friends at school about how I’m on an airplane because I’m headed to D.C. this week to speak on a panel. And while my 1-year-old doesn’t recognize it intellectually yet, we are separated during the day and we’ve got this great time together on the evenings and weekends, and I have brought her to work many times. As new moms come to find out, that first year they’re just constantly sick, and so any time she has to stay home from her little school, I’ll bring her to work with me in an Ergobaby carrier, and it’s so much better to get a day of 70 or 80 percent productivity than to just be down for the count because I have to stay home. It’s such a wonderful thing to think about how I can have the workplace flexibility to do those sort of things, but I can also be a really important role model by normalizing motherhood and parenthood for the rest of this team. I'm always thinking about how we can create a culture where that is welcomed and supported by others on the team, so when they get to the point of making those decisions for their own lives, they feel like they don’t have to step aside or stop putting up their hand. They can continue to feel like they have both personal and parental lives that they want, but also be able to thrive professionally. How else does the culture at Bumble allow employees, female employees in particular, to fulfill their career ambitions as well as their personal obligations? We really strive to embed flexibility into the workday. In fact, I recently spoke at Circular Summit and said MicroAgility from the stage! So we really try to design our days with things like MicroAgility built in, and that’s not just for moms. That’s for people who have to go to a doctor’s appointment or just have a morning where they need to just catch up on laundry and want to work from home, and that’s fine for us. We try to create a culture where people should feel empowered to do their best work however it works for them. And I think in particular our female employees appreciate that … And also for our female employees, we want to create flexibility within your decisions around your reproductive choices, and so we’re getting ready to launch some partnerships around fertility benefits and other things that support women during that journey in particular. 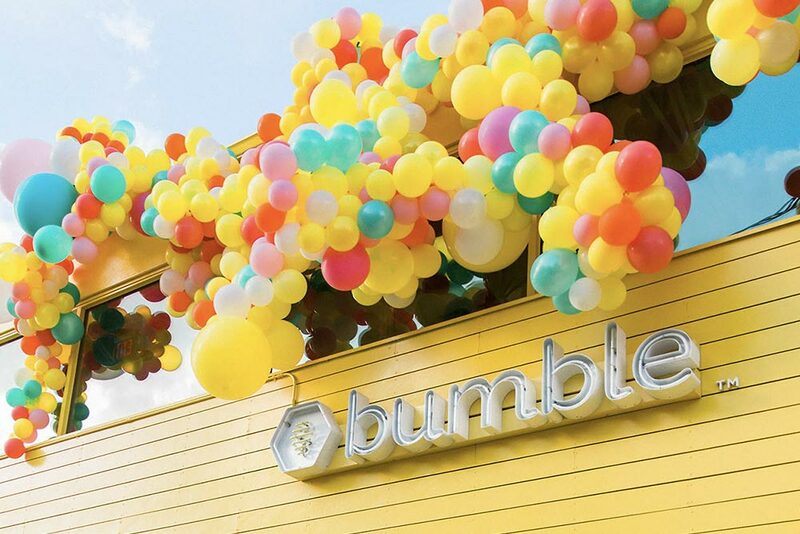 What kind of qualities do you look for in anyone interested in joining the Bumble team? We look for people who align with our brand values, which means they are committed to ending misogyny, they are focused on empowerment for both men and women, they are kind, they are interested in online accountability and creating a tool that enforces that. I think everyone we consider bringing on board we look at through the lens of our brand values. The Customer Experience Specialist role which is PartTime and Remote is really designed with flexibility in mind. We are looking to engage female employees and allow them to make the decisions they want to around their ways of working. This role requires great problem-solving skills and the ability to be compassionate and understand the perspective of the user and try to help. The Experiential Marketing Role is based in Austin, but has the same sort of flexibility built in that we have for all of our full-time roles.